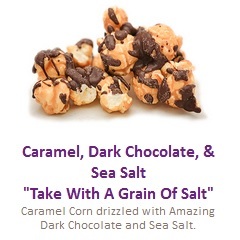 Nom Nom is a family-owned business located in North Canton, Ohio and makes amazing Gourmet Popcorn in over 50 traditional and modern flavors. They use high quality ingredients such as real melted cheese on our cheesy flavors; not the powder stuff. Flavors such as Cookies and Cream, Puppy Chow and Caramel Nut contain top notch candy, cookie, cereal, nuts, pretzel and other add-ins. This opportunity runs from June 3 - July 3, 2017 and perfect as snack around the campfire or graduations gifts! Click the link for more details, visit their website.